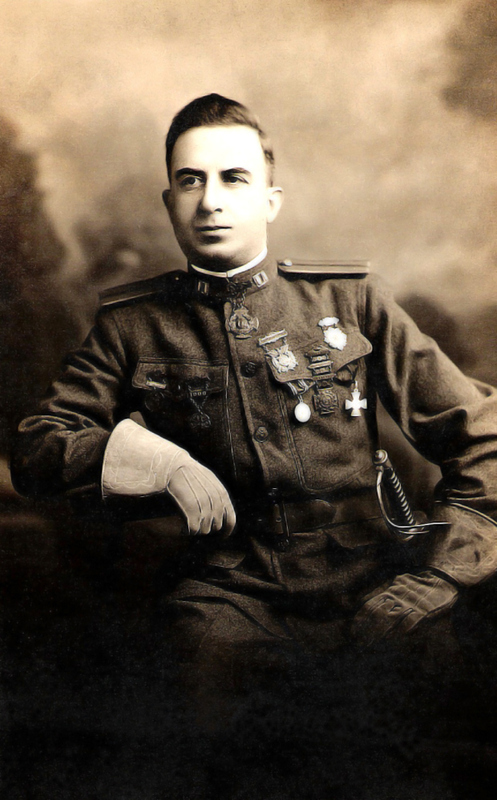 Captain Jim Chankalian was promoted to captain in the U.S. Army for his service during the Spanish-American War in 1898, and later with great success and honors he participated in the Armenian liberation movement. Afterwards he served in the Democratic Liberal Party of America, AGBU and the Armenian Church, until his death on May 10, 1947. Born in Tigranakert as Bedros Chankalian, James (Jim) and his family emigrated to the United States. He graduated from an American high school and then entered the military academy to become an officer in the United States. 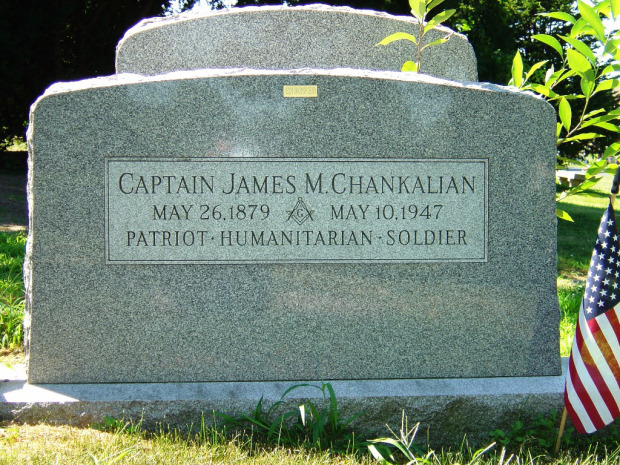 Being an experienced soldier of the U.S. Army, Chankalian also became a well-known figure in the Armenian community of New York. After retiring with the rank of captain, he was offered an important position in the company “Powers & Co.” and build a comfortable life for himself. In 1915, the Reformed party Gnchak, in collaboration with the Regional Committee of the Constitutional Democratic Party (Ramgavar) of the United States requested to send Jim Chankaliana with a special mission, first to the Caucasus, and then to Van, to fight for the Armenian liberation movement. Chankalian gladly accepted the offer, giving up his high position and a comfortable life in America. Taking with him a group of experienced volunteers who came from Western Armenia, he reached Van at the appointed time and was met by the heroic leader of Armenian self-defense forces, Armenak Egaryan. After consultation with Egaryan, Chankalian put his extensive military experience in service of the heroic struggle of the Armenians of Van and became the adviser to Egaryan. As such he became instrumental in the formation of the Yerkrapah regiment (Defenders of the Motherland) and was successful in the accomplishment of his military mission. In 1917 he returned to the U.S., but as soon as he learned about the plan of formation of the Armenian Legion in France, he decided to join. The legion was to go to Palestinian front to fight on the side of the Allies (France, England, Russia) against the German and Turkish troops. Chankalian who enjoyed unconditional respect and reverence of the American-Armenian community and the Armenian political parties, was appointed head of the detachment, consisting of US-Armenian volunteers. On July 9, 1917 Chankalian along with the volunteers, under his leadership, boarded a French ship and headed to Marseille. From there he went to Port Said and joined the Legion. They were transported to Cyprus and met with the rest of the volunteers of the French Foreign Legion. By order of General Allenby, commander of the united forces of the Allied Powers in the Middle Eastern front, on September 14, 1918 the Armenian volunteers were transported to Palestine, where five days later, they went on the attack against German and Turkish forces in Arar. With minimal losses they have achieved a glorious victory in the Battle of the Arar. As the World War I ended in November 1918, the Armenian volunteers were transferred to the Palestinian front in Beirut. From there, the British ships took them in groups, through Alexandretta (Iskenderun) to the mountains and plains of Cilicia. Legionnaires were welcomed in Adana with the Armenian tricolor flags. Turks were already demoralized an the Armenian Legion was about to take all of Cilicia under their control. Implementation of the plan to establish an autonomous and independent Armenian Cilicia was undertaken under the guidance of Mihran Damadyan. In order to bring this plan to fruition, it was necessary to gather a strong fighting force, which was about to become a reality, with such battle-tested heroes as Chankalian, Andranik, Egaryan, Esai Yagubyan etc. However, the Allied Powers had other intentions. They have prevented the arrival of Andranik, Egaryana and others in Cilicia, ending the prospects of Armenian success in Cilicia. Disappointed with the vanishing dream to create an independent Cilicia, Chankalian returned to the United States, with his achievements recorded in the history of the Armenian liberation struggle. Later, as one of the leading figures of the Democratic Liberal Party of America, Chankalian organized fundraising efforts in support of the first Republic of Armenia. Chankalian continued his activities for the benefit of the motherland. He became the driving force behind the formation of the American-Armenian National Council and served as its president. He also became the first president of the Central Committee of the Armenian General Benevolent Union (AGBU) and devoted his time to the service of the Armenian Church. This great patriot, endowed with exceptional military skill, died in New York in 1947 at an advanced age, leaving behind a great legacy of unforgettable service for his people. Please replace the reference to http://armeniangc.com/2013/06/zabytyj-geroj-iz-soedinennyx-shtatov-v/ . Thanks! Bertha Guiragossian this is all new to me to hear about CaptainJames Chankalian Brave Armenian like many others, Great reporting,, Thank you. Many others as well….Could give you a few names….